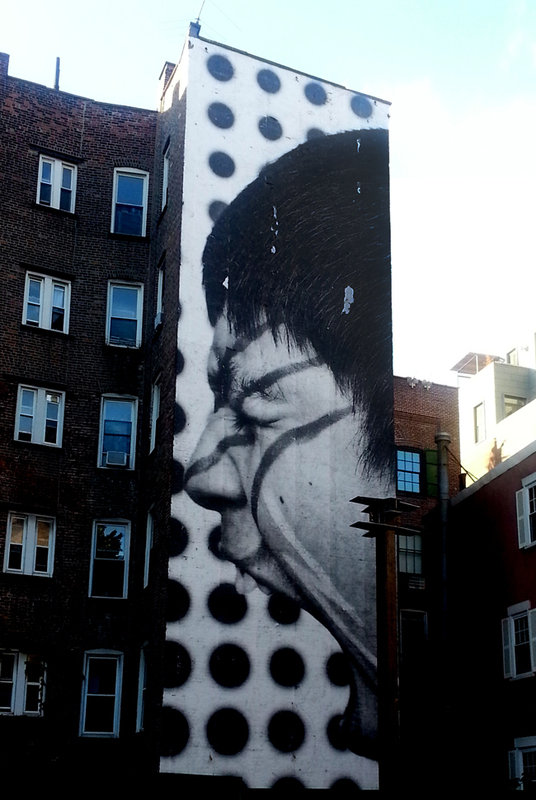 You are here: Home / All Posts / NYC Street Art Series Part 4: A JR Leftover In NYC! While just wandering around (before I ever thought to hunt down the Bowery Wall) Manhattan for the fun of it, we randomly ran into this JR work. At least I”m pretty sure it’s a JR work. It has all the hallmarks of his work. But If it is someone else’s –and you know who’s it is– contact me with the proper Artist so I can credit it properly. 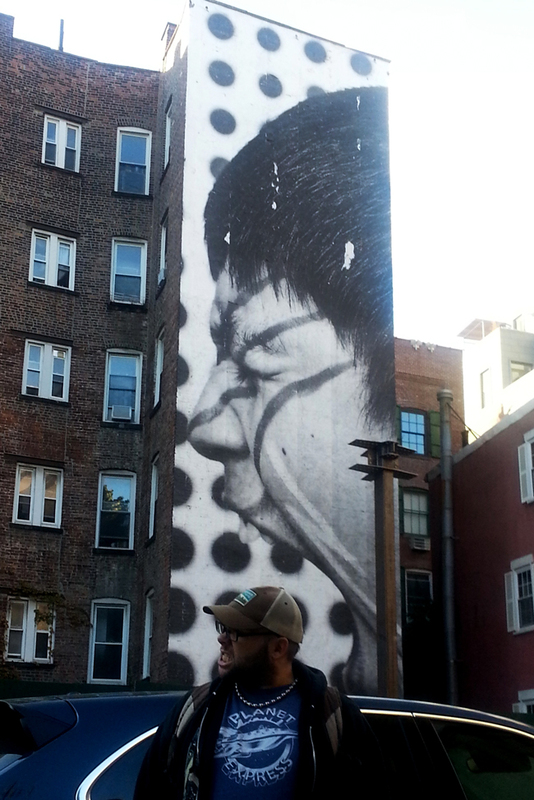 I found a JR artwork in NYC, it tried to eat my head. I’m not sure if he’s screaming through my head (I still can’t hear properly, so maybe…) or is about to eat it. Not sure which. Maybe it’s both. Huh? What’d you say?!? Ooh, never mind!